Have you just come to the end of a building project? Did the work cause more mess than you thought? Do you need to arrange a builder clean as quickly as possible? Don’t worry, at D&A Lawrence Ltd we offer the highest standard in builder cleans in Edinburgh and will have your premises back in clean and hygienic condition.Because we use the very best cleaning equipment and products you can be sure of the best results. Each member of our cleaning team has years of experience and will ensure every inch of your office or workplace is taken care of. From dusting the tops of door frames for dust and debris to cleaning down every surface and hoovering every floor, we leave no stone unturned when it comes to professional cleaning.We understand that building work can create a lot of dust, but the good news is we have the skills and patience to tackle it head-on. We can even offer 24-hour builder cleans in Edinburgh so if you need to get your business up and running overnight, we can help. We believe our customers should always have access to the best cleaning prices which is why we offer the most affordable prices in the region without compromising on quality. 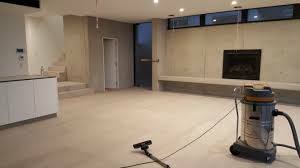 In addition to our builder clean services, we offer specialist cleaning services such as window cleaning, carpet cleaning and many other services that you can hire as and when you need them. Need contract cleaning too? That’s no problem and we would be very happy to speak with you about your cleaning schedule. 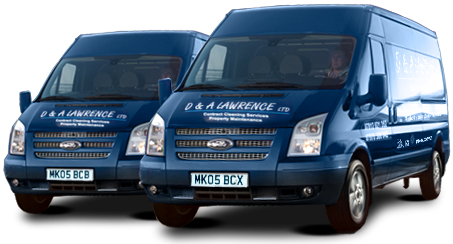 When only the best results will do, get in touch with D&A Lawrence. The highest standard in builder cleans in Edinburgh are only a phone call away and we would be delighted to give you a quote for our services and arrange your builder clean at your convenience.Our teams have years of experience in providing outstanding cleaning services no matter how large or small the job at hand. Hire the best. Call our team today on 0131 235 2031.